Here we have an interesting news about Superstar Rajinikanth’s Kabali audio. The tracklist was released yesterday, 8th of June and we didn’t happen to see one man’s name in the singers list, who is a regular phenomenon in Rajinikanth’s films - S.P.BALASUBRAMANIAM. Well, the legendary singer who has been a part of many of his recent movies, has not crooned in Kabali. 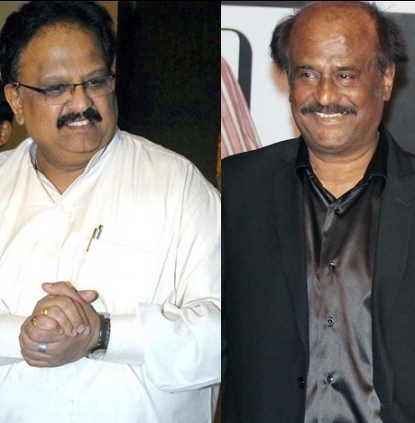 Pandian (1992) and Kuselan (2008) were the previous Rajini films, in which S.P.Balasubramaniam didn’t sing any number. Looks like now Santhosh Narayanan has broken the Rajinikanth - S.P.B sentiment again in Kabali. Here is the list of songs which S.P.B has sung for Rajinikanth in the past 24 years as mentioned above. A scary beginning for Varalaxmi!!! People looking for online information on Kabali, Rajinikanth, Santhosh Narayanan, SPBalasubramaniam will find this news story useful.